Mr. Sierzega was born and raised in the Lehigh Valley in Pennsylvania. He graduated as a National Merit Scholar from Whitehall High School, in Whitehall, Pennsylvania. Mr. Sierzega attended Villanova University, where he graduated with a Bachelor of Arts degree. During his time at Villanova University, Mr. Sierzega was President of Sigma Nu Fraternity, as well as the Treasurer of the Interfraternity Council. Following graduation, Mr. Sierzega returned to attend Villanova University Law School, where he graduated with his Juris Doctor in 1995. 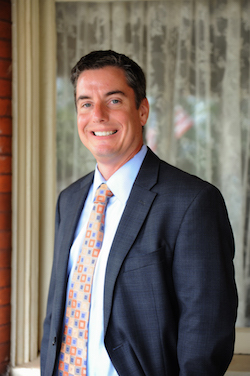 After graduating from law school, Mr. Sierzega practiced at a defense firm in Cherry Hill, New Jersey. Mr. Sierzega moved to Hoffman DiMuzio, in Gloucester County, where he headed their commercial department. Mr. Sierzega has over 20 years experience as a practicing New Jersey Attorney and has lived in Gloucester County for the past 17 years. Mr. Sierzega took the opportunity to join Puff & Cockerill at the beginning of 2008. His practice consists of all types of litigation, with an emphasis in estate litigation, estate planning, commercial law, consumer fraud, insurance, small business and real estate matters. Within the Estate Planning spectrum, Mr. Sierzega handles wills, trusts, and estate administration. Over the course of his 20 years of experience, Mr. Sierzega has had several published opinions by the New Jersey Supreme Court and New Jersey Appellate Division. Mr. Sierzega currently lives in West Deptford, New Jersey with his wife Beth and their two daughters, Alexa and Taylor. Mr. Sierzega is an active marathon and long-distance runner, completing several marathons in the past few years.